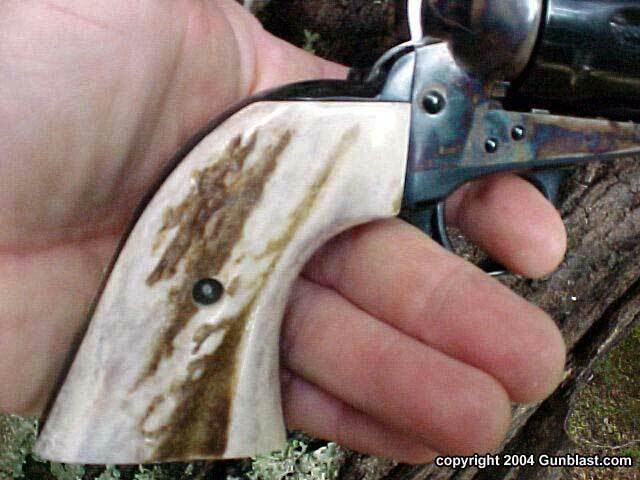 On my revolvers, I have always preferred grips made of a natural material. On a combat double action, Hogue rubber grips are good, as are Uncle Mike’s, but they are utilitarian, and I still prefer grips made from natural materials even on these guns. On my single action revolvers, natural is mandatory. I cannot tolerate rubber grips on a single action, with the exception of the old style hard rubber that Colt placed on their Single Action Army sixguns. 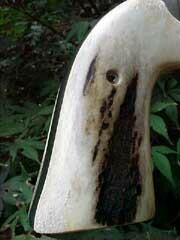 For the most part, I need a grip made from a substance that was once living, such as genuine wood, bone, horn, or antler. I like walnut and burl mesquite. 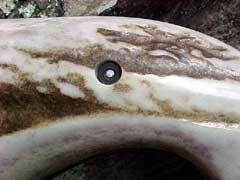 Buffalo horn looks great on the right gun, as does bone or ivory. 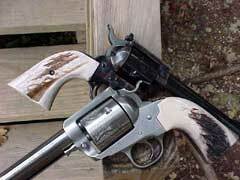 However, my preference on a nice single action has always leaned toward stag. I just like the stuff. 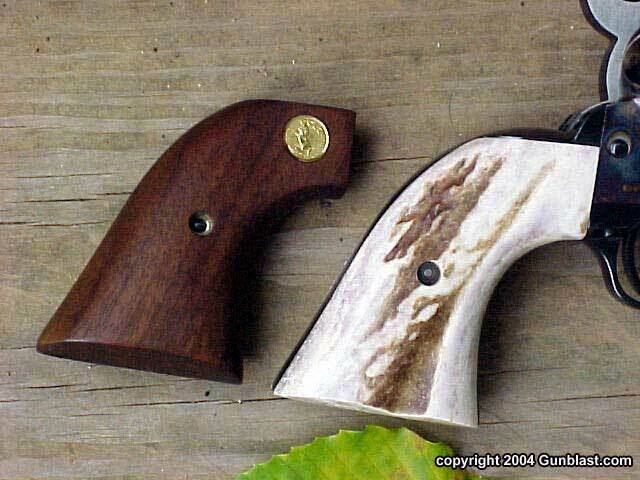 Not the polymer grips that are made to look like stag, but the real shed antler from the Sambar deer of India. 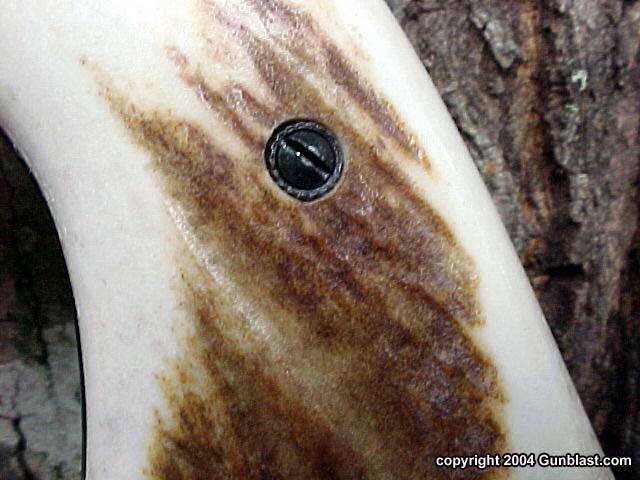 As anyone knows who has recently purchased a set of stag grips, they are getting to be expensive. 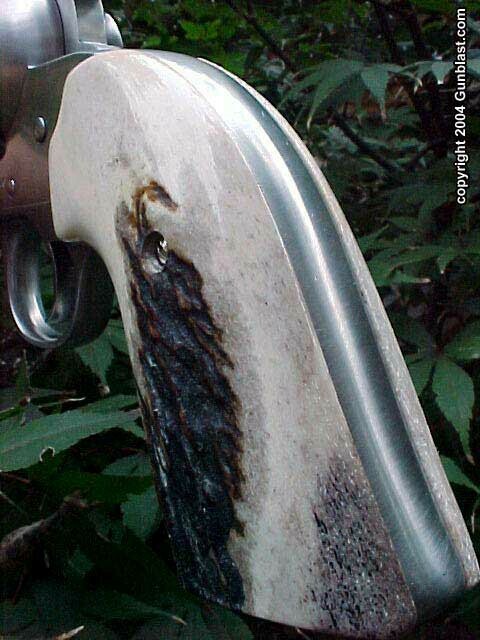 The government of India has all but cut off the supply of Sambar antler, and the existing supply is quickly being depleted, especially for popular sixguns. 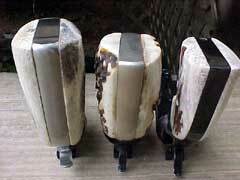 A set of stags for a Colt or Ruger single action now sells for around $375 and higher at gun shows that I attend. I have at times purchased sixguns just to rob the stag grips from them for another gun. The fake stag grips that I have seen look fake, and even if they didn’t, I would know that they were. I need the real stuff. The situation was looking pretty bleak until I happened across Raj Singh at the 2004 SHOT Show. Raj is the president of Eagle Grips of Carol Stream, Illinois. Raj knows grips. He and his crew make some of the best looking and fitting handgun grips available, using both natural and synthetic materials. 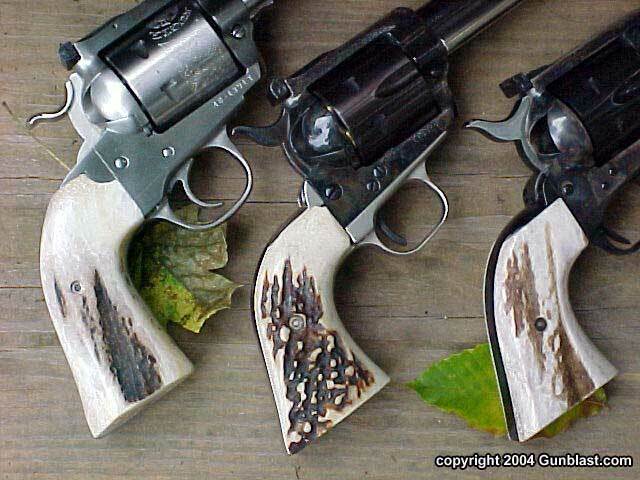 However, what caught my eye in the display case were the beautiful grips made from American elk antler, and I immediately purchased a set for my stainless Ruger Bisley. Using elk antler for handgun grips is a great idea, and I am sure that is has been done before by custom makers, but Eagle is producing them for most popular handguns at very reasonably prices. After handling the American Elkhorn grips, as Eagle is calling them, I now prefer them to Sambar stag. Sambar seems to be denser, but I prefer the lighter colors of the Elkhorn. I also like the fact that the American elk is a native to our United States, and is still abundant in parts of the American west. 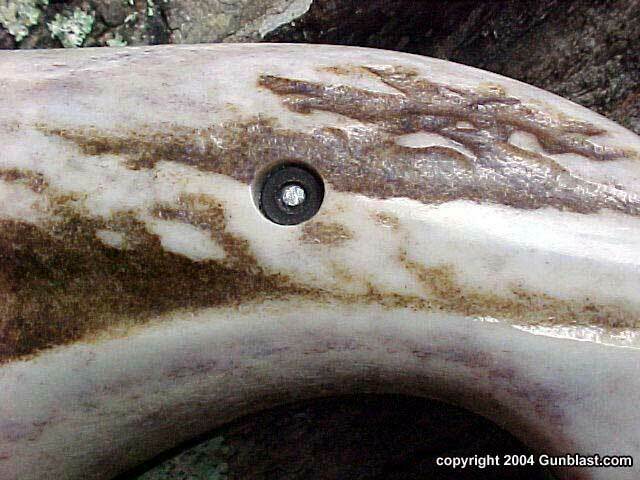 It just seems natural that the antler from this majestic animal would be used on sixguns that are the epitome of the American west, such as Colt single actions and replicas of that fine weapon. Having recently acquired an unfired Colt New Frontier revolver in .44 WCF, which is no longer unfired by the way, I immediately realized that it needed a really special set of grips. While the New Frontiers were some of the finest revolvers to ever be produced by Colt, they also were shipped from the factory with some of the plainest, ugliest grips ever to grace a Colt handgun. They are of plain walnut, with a finish so dull that it looks as if there is none. 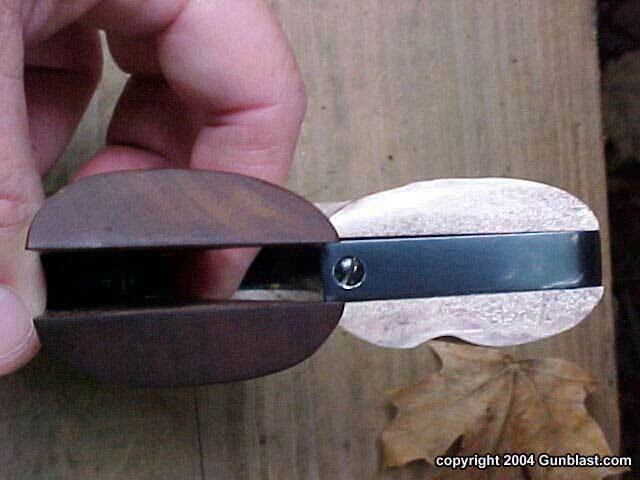 I removed the grip frame and trigger guard and sent them off to Eagle so that they could be fitted for a set of the American Elkhorn grips. I was not disappointed! The results can be seen in the pictures. The Eagle American Elkhorn grips are perfect on the New Frontier. They are very well fitted, and the color and texture is excellent. They are a bit thinner than the stock grips, with less flare and bevel at the bottom, resulting in a grip that points naturally, like the finger of God! I greatly prefer them to the set of Sambar stags that are shown for comparison in the picture. The Elkhorns are a light creamy color, with the bark a medium brown. Contrasting with the blued and case-hardened finish of the Colt, they are stunning. They are the perfect compliment to the quality of this gun, and are pretty enough to show off at a Sunday afternoon picnic. 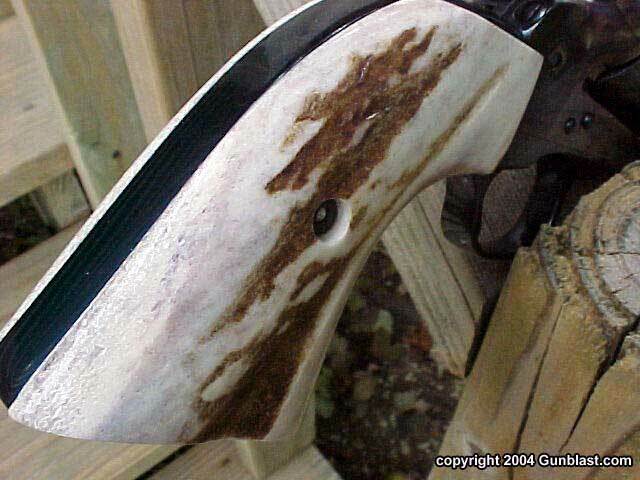 I also like the looks and feel of the Elkhorns on the Ruger Bisley. 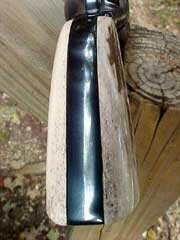 They add some overall color and texture to the stainless finish of an otherwise plain sixgun. 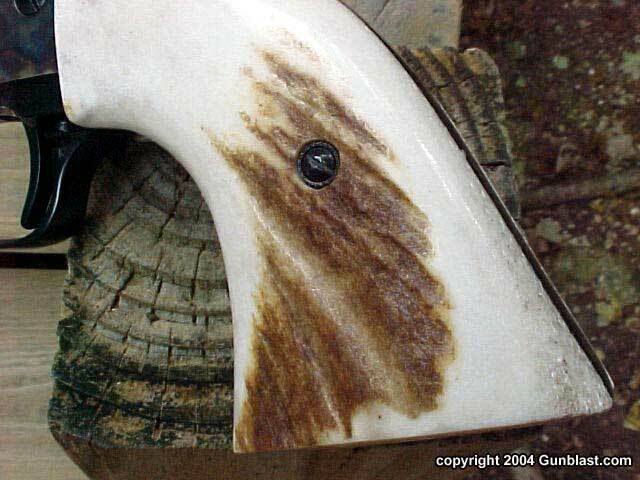 The American Elkhorn grips sell for less than half the price of a set of used Sambar stag grips, and give up nothing in beauty, durability, or feel. Eagle makes these to fit most popular semi-automatics and revolvers, and will custom fit them to your frame for a small charge. On a single action revolver, there is nothing that I like better than these American Elkhorn grips from Eagle Grips. I cannot give any higher recommendation than that. 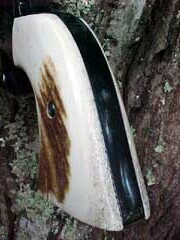 Check out the entire line of high quality handgun grips online at: www.eaglegrips.com. 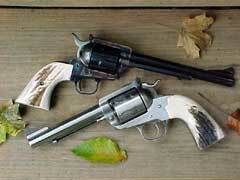 Author's Colt New Frontier (top) and stainless Ruger Bisley (bottom) with Eagle Grips' American Elkhorn grips. Colt New Frontier in .44 WCF. Comparison of original Colt New Frontier's wooden grip panels with the new Eagle American Elkhorn grips. The Eagle grips not only greatly enhance the beauty of the Colt sixgun, but the slimmer profile of the Eagle grip panels enhances gun handling as well. 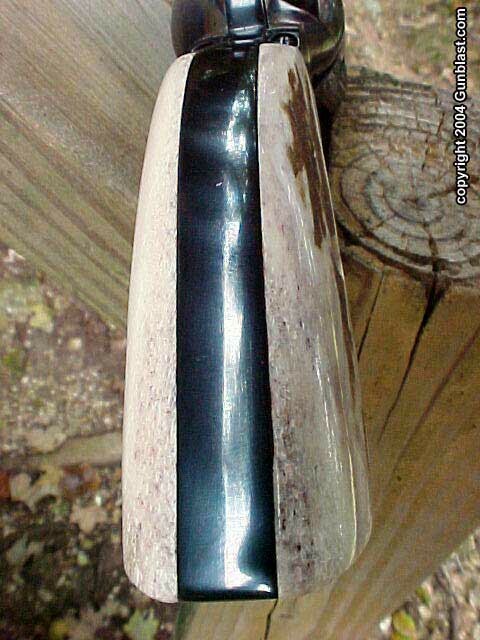 Comparison of Eagle Grips' American Elkhorn grips to very expensive Sambar Stag. Left to right: Ruger Stainless Bisley with Eagle American Elkhorn, Dave Clements Custom .44 Special Blackhawk with Sambar Stag, and Colt New Frontier with Eagle American Elkhorn. For sixgunners wanting a perfect solution to the sporadic availability and great expense of Sambar Stag grips, Eagle Grips' American Elkhorn grips are just the ticket!